The easiest description here is probably adult contemporary music. That seems to imply something that's perhaps a bit dull. For that reason I don't think it fits this release. Mind you in terms of general musical type, it's probably close. This is quite energized and fresh, though. It has a lot of R&B in the mix. There is a definite electronic vibe to much of this. 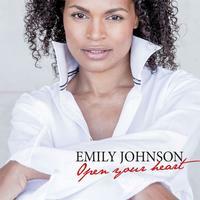 Emily Johnson's voice is the real selling factor here, but you can't dismiss the arrangements, either. Keyboards and percussion open this. The vocals join bringing a real sense of emotion and power. As the arrangement gets more powered up there are layers of backing vocals that add to the intensity of the piece. Those vocals are rather along the lines of a choir. Starting mellow, this eventually works out to a more rocking sound as it gets full involved. This is a strong tune that has a lot of classic R&B in the mix. It has some solid hooks, too. The message is empowering, and the music matches. The backing vocals bring quite a bit to the table on this song, too, but Johnson's vocals are the real driving factor here. Energized and fast paced, this one really climbs high. It has more of an electronic adult contemporary vibe to it. Again the vocals really sell it. There is a real timeless classic quality to the bulk of this song. There is a rap mid-track from G Dub. While it's a solid rap, I just feel that it kind of cheapens the song because it feels like it's tacked onto the number to bring a modern texture to it. Still, it works. It just tends to pull the listener out of the groove-space a bit. More of an electronic pop meets R&B groove is the concept here. Yet there are hints of an old-school Motown kind of vibe, too. This is energetic and entertaining. There is a modern break section on this that seems to fit the song and gel better than the one on the previous number did.